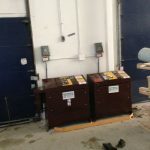 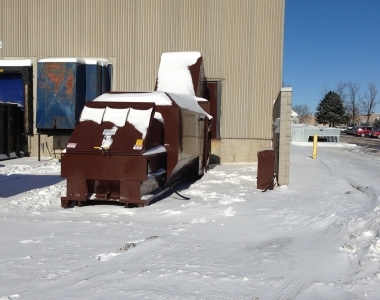 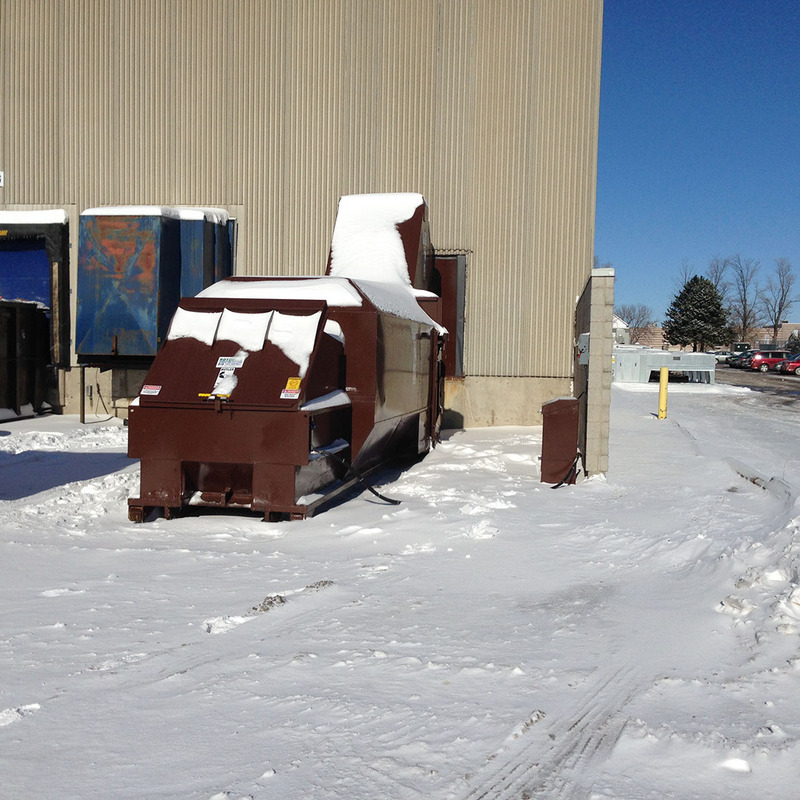 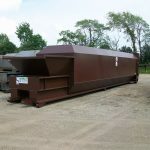 Stonemill needed two compactors; one for production bakery waste and one at ground level for returns to be disposed of from their delivery truck. 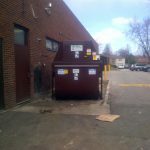 Strict regulations regulate that outside product(returns/stale product) cannot come back through the production area as they may cause contamination. We came up with a customized solution to solve both issues while only utilizing one dock door as they also had outside space restrictions. 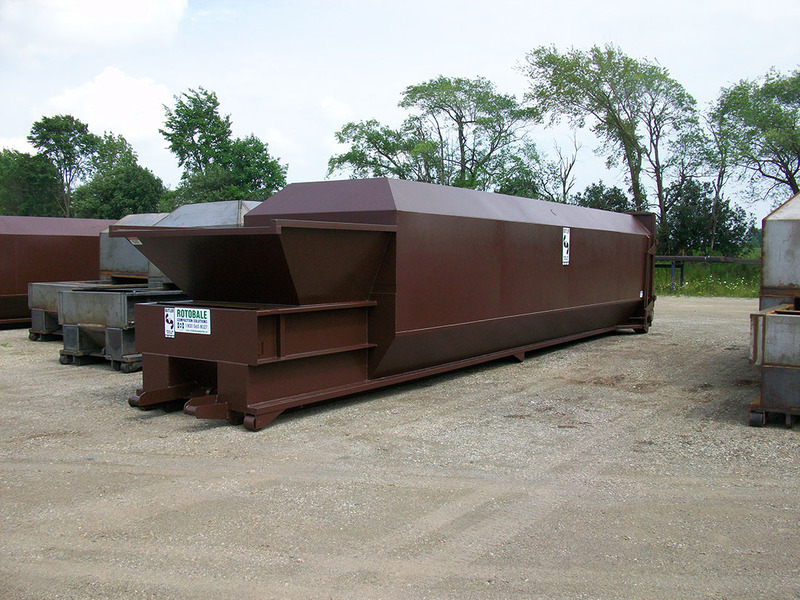 Butler Recycling along with its equipment manufacturing company, Rotobale Compaction Solutions, designed a dual end feed container with a compactor at each end. 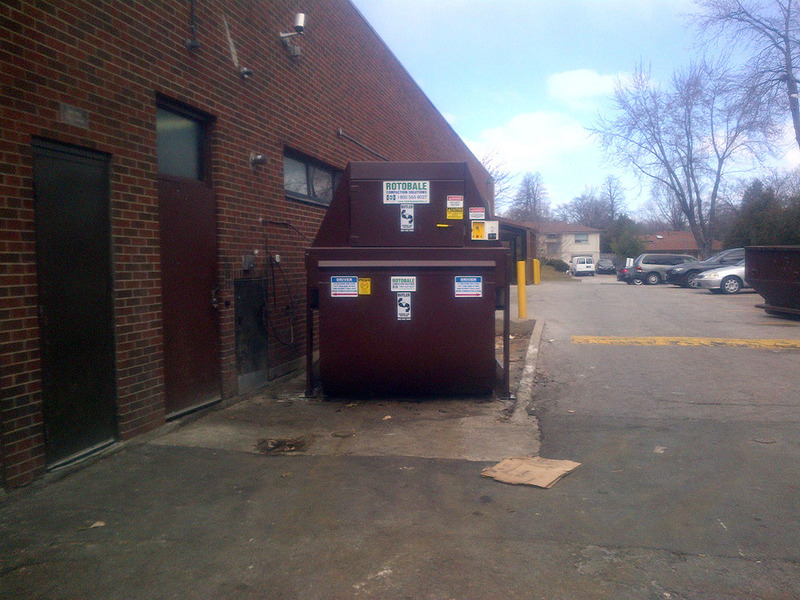 Stonemill Bakery had a very unique situation; they needed to dump bakery waste from their production floor through a dumper into their compactor at their production floor height(dock level) AND they needed to access their compactor outside of their building so that bakery returns(outdated or damaged product) could be disposed of from the delivery truck directly into the same container from ground level. 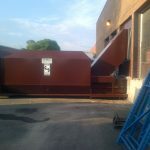 One end of the container for returns at ground level and the other end at dock level to dump production waste. 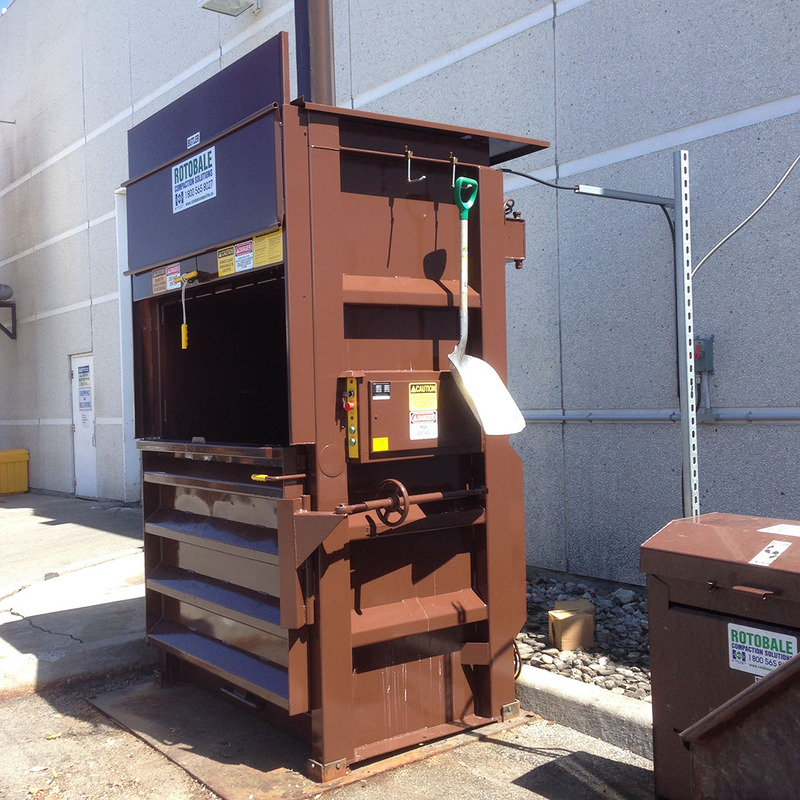 Butler designed and implemented this customized equipment recycling solution to meet all their needs utilizing only one container and one dock door while still giving maximum compaction as there is a compactor at each end packing the bakery waste into the container.